Score one for print! In the wake of the #2015Q4MagazineMeltdown, at least one media company has announced a new publication. On quality paper stock, no less! 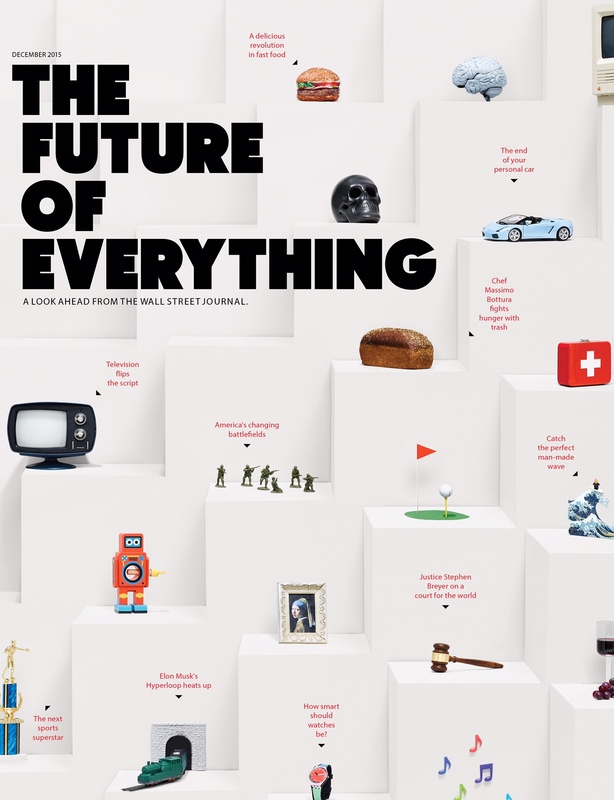 Introducing The Future of Everything from the Wall Street Journal, which aims to be an annual affair. The first edition is edited by Stan Parish, formerly of Departures and Bloomberg Pursuits, with Trevor Fellows, head of global media sales, overseeing the sales effort. Mike Miller is serving as deputy managing editor. The 96-page book essentially focuses on what’s next across a wide range of industries. Subjects of feature stories include Elon Musk’s Hyperloop train, mixed martial arts guru Conor McGregor, and a Howie Kahn piece on high-end chefs dabbling in fast food.